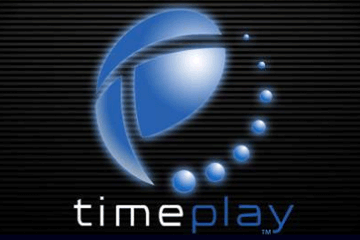 Toronto, ON (May 8, 2017) – TimePlay, a world leader in the multi-player interactive industry, has signed a partnership agreement with New-York based Screenvision Media, a move that will enable the company to begin selling interactive media in the U.S. for the first time. In the first phase of the rollout, TimePlay’s social mobile technology, which has proven to be popular with Canadian audiences and effective for helping brands connect with consumers, will launch on 1,000 cinema screens throughout the U.S. by the end of Q1, 2018. TimePlay works with global brands like McDonald’s and Chevrolet to create interactive advertising, which has proven to be more memorable than regular „linear” advertising according to several research studies. It also allows brands to collect valuable consumer data and insights, and lets them send a call to action directly to a consumer’s mobile device, which is a unique and powerful way to drive sales and return on investment. The company is also working with most of the major movie studios on interactive movie trailers, which are preferred by 61% of moviegoers over traditional „linear” trailers, and deliver six times higher purchase interest4. Recently, Paramount Pictures collaborated with TimePlay on an interactive trailer for the movie RINGS. It turned a player’s smartphone into a fright meter allowing the audience to determine the most frightening scene. At the end of the trailer audiences got an unexpected call on their device. TimePlay is currently deployed at several exhibitors including Cineplex Inc., Carmike Cinemas, Emagine Theatres and Bow Tie Cinemas. Many brands have created interactive TimePlay ads including McDonald’s, Mazda, Samsung, Revlon, Shell and Heineken. TimePlay has offices in Los Angeles and Toronto. Please visit us at www.timeplay.com and follow us @TimePlayEnt.